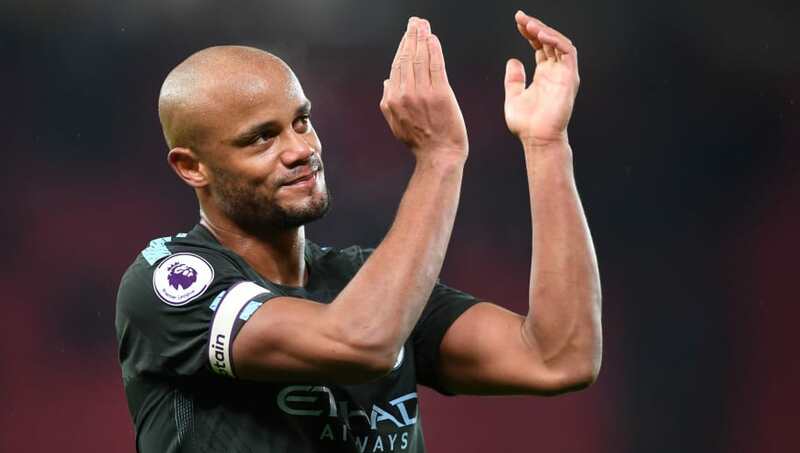 Manchester City captain Vincent Kompany has admitted that his focus is already shifting to the club's title defence next season, less than 24 hours after being crowned Premier League champions. The 32-year-old had to watch on from home as a goal from West Brom's Jay Rodriguez against Manchester United handed City the title on Sunday, with the defender then joining a handful of his teammates for celebrations after the game at Old Trafford. But Kompany has insisted that City will be keeping their heads down until the end of the season. The Belgium international has also issued a warning to their Premier League rivals by claiming Pep Guardiola's side haven't been at their best this season, stating that the club will try to unlock their 'full potential' next season. "It’s the same feeling as the first time," Kompany said, quoted by the Mirror. "The first time you win it, you think you’ll win all of them. Then the first time you lose one, you think you’re never going to win another ever again. "You just want to hold on to the feeling. It’s a difficult achievement and I’m proud of the team and everyone involved. "You can’t take it for granted. I’ve never been able to retain a title and I want to see if this team has it in it to be even more successful. I want to see how we react now next season. "I’m probably the first one to think about next season. I'd like to stay humble - this is not a dynasty, it's one title. We're all delighted, but there's a lot more to do to unlock our full potential. I've seen many teams win it where they've been champions all season and it's a first for me." Kompany also touched on the impact that their manager has had on the squad. The Belgium international was eager to draw on comparisons with Guardola's Barcelona and Bayern Munich sides, insisting that Manchester City are more complete as a collective. "One team was dominant in Germany and one had Messi," he added. "But we are nothing without the team."